Height: 0 to 6500 feet. Distribution: Worldwide, most common near coast and mountains. Cause: Lifting of a large air mass, followed by condensation. Associated Weather: Drizzle or slight rain, or snow in sub-zero temperatures. Hazard Warning: Can be an aviation hazard as it sometimes masks terrain. Stratus clouds form in sheets or layers (stratus is the Latin word for layer) and occur when relatively large areas of moist air rise gently in a stable atmosphere to a level where condensation occurs. Normally, the lifting of the air mass is a result of an incoming frontal system or wind encountering a large landmass such as a mountain range. 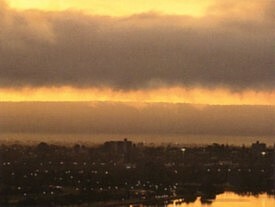 A slightly different form of stratus may occur when a layer of fog that has developed at ground level starts to rise as it is warmed by the Sun. This formation is known as fog stratus. Stratus is the lowest altitude cloud formation, with condensation occurring any where between ground level and about 6,500 feet. Typically, stratus has a ragged. gray appearance, and varies in thickness from a semi-transparent sheet of a few feet to a deck of around 1,500 feet. Its horizontal spread is usually far greater and may cover hundreds of square miles. Normally, there is no significant weather associated with this cloud, although light drizzle or rain, or light snow in sub-zero temperatures, may fall if the deck is sufficiently thick. Stratus that gives rise to precipitation is often known as nimbostratus. When it forms close to the ground, stratus can mask the surrounding terrain, particularly in mountainous areas, and this has been the cause of many aviation accidents. Fortunately, radar equipment fitted to most modern aircraft is reducing the dangers associated with this cloud. Height: 2000 to 6500 feet. Distribution: Worldwide. Cause: Lifting of a large air mass, followed by condensation combined with relatively weak instability at cloud level. Associated Weather: Normally none, but may produce light precipitation if cloud is sufficiently thick. 0ne of the most common clouds worldwide, stratocumulus is a good indicator of moisture in the lower levels of the atmosphere. It usually occurs between 2,000 and 6,500 feet. Stratocumulus usually has a ragged appearance along its upper surface, but can have a well-defined and flattish base. It tends to form in comparatively shallow layers, sometimes several hundred miles wide. The color of the cloud may vary from white to dark gray, depending on the light conditions and the thickness of the deck. Its somewhat lumpy appearance, indicative of convection within the cloud, is what distinguishes stratocumulus from stratus. 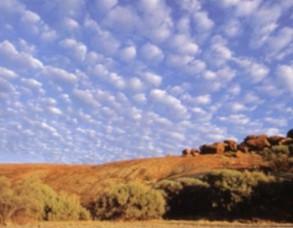 Two processes may give rise to strato-cumulus, either separately or in combination. In the first, a large, moist air mass is lifted by a frontal system or a landmass to a level where condensation occurs; slight instability at cloud level then creates the cloud's cumuliform shape. The second process involves pockets of warm air rising from the ground as a result of weak convection, giving rise to condensation at the same level over a wide area. In this case, the clouds may subsequently develop into cumulus humilis, and some of these may even develop into cumulonimbus clouds. Normally, if stratocumulus has not developed vertically by mid-afternoon, the time of maximum ground temperature, it will tend to dissipate, resulting in a clear evening sky. If it is sufficiently thick, stratocumulus may produce light drizzle, or snow in sub-zero temperatures, but this is not common. Height: 0 to 1000 feet above ground level. Distribution: Over hills and mountain ranges worldwide. Cause: Lifting of moist air mass by landform. Associated Weather: May produce fog, light drizzle or light snow showers. Hazard Warning: Can be an aviation hazard as it masks terrain. Orographic clouds are formed when moist air, carried on a prevailing wind, is lifted by an elevated landform, such as a mountain range, to a level where condensation takes place. Among the most common orographic clouds is orographic stratus. This low-level formation occurs most frequently in areas, such as coastal regions, where the air flow is heavily moisture laden. Generally, the landform must be at least 500 feet high to generate cloud, and higher in areas of clean, dry air, such as deserts. Unlike normal stratus, which is carried about by the external wind field, orographic stratus tends to remain stationary. The wind flows through the area of condensation, constantly regenerating cloud as the air rises and dissipating it as the air descends on the other side of the landform. The extent of this type of cloud depends on the humidity of the surrounding air mass. If the air contains a high level of moisture, cloud can begin to form well down the windward slope of the landform, wrap around the peak, and extend some distance down the other side. A good example of this type of formation is the "tablecloth" that often drapes the top of Table Mountain near Cape Town in South Africa. The extent of the cloud is also determined by the steepness and elevation of the landfornn, the strength of the wind, and the direction of the wind relative to the landform. Strong wind blowing at right angles to a steep mountain will create greater uplift and generate more cloud. Since low-level moisture and high land are essential ingredients in the formation of orographic stratus, areas that have high humidity and steep terrain -- tropical islands such as Hawaii, for example -- are particularly conducive to the formation of these clouds. Sometimes, there is insufficient moisture in the lower layers of the atmosphere to allow condensation at ground level, but with increasing altitude and lower temperatures, condensation may be possible. In this case, lifting of the air mass by a landform can produce middle-level orographic formations, known as lenticular clouds (left photo). One of the most spectacular forms of orographic stratus occurs in a variation known as banner cloud (or cap cloud), which can form on the peaks and immediately to the lee side of large mountain ranges (right photo). In this case, the cloud producing mechanism is a little different. When wind blows over a tall, steep mountain, a certain amount of air stalls and piles up on the windward side, resulting in an area of increased air pressure. This, in turn, results in a drop in air pressure immediately to the lee side of the mountain. Since low pressure enhances condensation, a cloud will readily form in this position if sufficient moisture is present. Two celebrated examples of banner cloud stratus are the mighty plumes that sometimes trail the peak of Mount Everest, in the Himalayas, and the Matterhorn, in the Swiss Alps. However, this process may also be seen in a weaker form near lesser mountain peaks. Height: 2000 to 3500 feet. Distribution: Worldwide, except Antarctica. Cumulus clouds generally form as a result of localized pockets of warm air rising. The water vapor in the air condenses into well-defined, lumpy parcels of cloud at low level. The shape of these clouds gives rise to the name cumulus, which means heap in Latin. Cumulus humilis is the smallest form of cumulus cloud and results from relatively weak convection (humilis means humble in Latin). This produces clouds that generally have flat bases and small, rounded tops. Technically, a cumulus cloud is considered to be a humilis formation if it is wider than it is tall, as estimated by an observer on the ground. The level of the base of this small cloud is determined by the humidity of the surrounding air mass. In areas of high humidity, such as coastal and tropical regions, the base may start at around 2,000 feet but it may begin at much higher levels in dry areas. 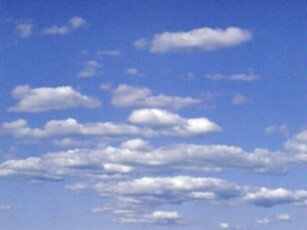 Often, cumulus humilis represents an early stage in the development of a cumulus cloud from stratocumulus to cumulus mediocris and then cumulus congestus. 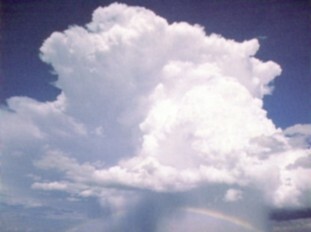 If conditions are right, some humilis clouds may eventually develop into cumulonimbus incus. Because of its shallow depth, this cloud formation does not produce any significant weather. It can, however, give rise to turbulence during aircraft penetration of the cloud, but this effect is normally slight and short lived. Cumulus humilis is widely distributed, occurring over all landmasses and oceans when conditions are right, except Antarctica, where the cold surface temperatures inhibit convection. 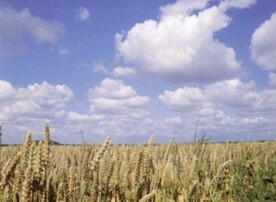 Cumulus Humilis is also known as Fair Weather Cumulus. Height: 2000 to 4000 feet. Distribution: Worldwide, except Antarctica. Cause: Weak to moderate convection. 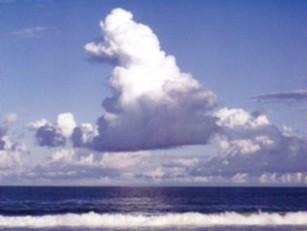 Cumulus mediocris is generated by slightly stronger convection than that which gives rise to cumulus humilis. This produces a cumulus cloud as tall as it is wide, as estimated by an observer on the ground. The base of this medium-sized cloud (mediocris means moderate in Latin) can begin to form from 2,000 feet upward, depending on the surrounding humidity. Cumulus mediocris is normally white or light gray, and has a comparatively flat base. This cloud is often a transitional stage between the lesser humilis and the more developed congestus phase. Mediocris clouds are more common in the late morning or early afternoon, after the ground has warmed enough to generate convection. They are not large enough to produce precipitation. During aircraft penetration of the cloud, they can produce slight and short-lived turbulence. If mediocris clouds occur at levels where strong winds are blowing, the winds may shred the clouds into horizontal fragments, which then speed across the sky. 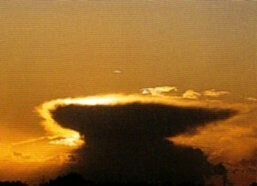 This variation is known as cumulus mediocris fractus. Mediocris occurs over most oceans and landmasses when con- ditions are right, with the exception of Antarctica, where the cold surface temperatures generally inhibit convection. Height: 2000 to 20,000 feet. Distribution: Worldwide, except Antarctica. Cause: Convection, enhanced by atmospheric instability. Associated Weather: Can produce moderate to heavy showers. Hazard Warning: Moderate turbulence at cloud level. Powered by strong updrafts, this cloud may grow to an altitude of 15,000 to 20,000 feet. Congestus clouds are taller than they are wide, and have a flat base and a sharp outline. Congestus seldom forms as a result of convection alone. Normally, atmospheric instability is also required. This occurs when the temperature of the surrounding air mass drops more rapidly with height than is normal, often as a result of a cold air current sliding over the cloud. Congestus may grow to the cumulonimbus stage if convection is strong enough or the surrounding atmosphere becomes yet more unstable. The time of day may be a deciding factor, as convection over land weakens late in the afternoon when ground temperatures begin to fall. If, by this time, the tallest cloud in the sky is congestus, then it is unlikely to progress to cumulonimbus. Congestus is capable of generating heavy and prolonged showers of rain or snow. In fact, during winter in North America, congestus clouds forming downwind of the Great Lakes often produce significant snowfalls. The vigorous convection that produces congestus creates significant levels of turbulence within the cloud. However, while this may result in a bumpy ride for aircraft passengers, it does not pose a serious threat to their safety. Height: 2000 to 30,000 feet. Distribution: Any area where wildfires occur. Cause: Convection created by fire. Associated Weather: Can generate showers and storms. Hazard Warning: Clouds may develop into cumulonimbus and trigger further fires through lightning strikes. This variation of cumulus derives its name from the fact that fire (pyr in Greek - pyro in Latin) creates both the lifting mechanism and the water vapor that combine to form this cloud. An extensive wildfire produces vigorous rising air currents and a large quantity of water vapor that is released by the air and vegetation during combustion. The rising air lifts the water vapor to a level where it condenses and forms cumulus clouds that ride above the fire. The bases of these clouds are often difficult to discern, as they are usually hidden by the smoke from the wildfire, but the cloud tops are normally situated well above the smokescreen. 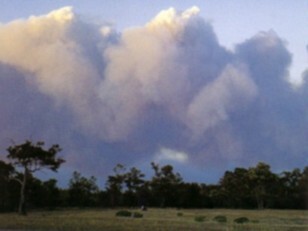 Pyrocumulus clouds vary widely in vertical extent, from humilis to congestus size. In some cases, the cloud can produce rain showers that limit or even extinguish the blaze below. However, particularly in subtropical regions where condensation results from an abundance of moisture in the surrounding air mass, the clouds may continue to grow until they reach the cumulonimbus stage. In this case, lightning strikes from the cumulonimbus may trigger further fire outbreaks. Pyrocumulus clouds may be seen wherever wildfires occur. They are inevitably more common in highly fire-prone areas such as California, the French Riviera, and southeastern Australia. Height: 3000 to 30,000 feet. Distribution: Worldwide, except Antarctica. Cause: Powerful convection, enhanced by atmospheric instability. Associated Weather: Moderate to heavy showers, strong winds. Hazard Warning: Significant turbulence at cloud level. Calvus occurs when convection and atmospheric instability combine to push the cloud tops beyond the congestus stage to heights of up to 30,000 feet. 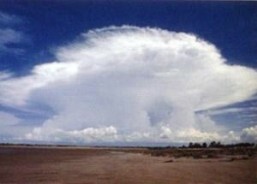 The mushrooming top of the calvus formation is a sign of the vigorous updrafts that may eventually force the cloud up into the highest levels of the troposphere. At this level of the troposphere, temperatures are normally well below freezing, and any condensation that takes place will produce ice crystals rather than water droplets. 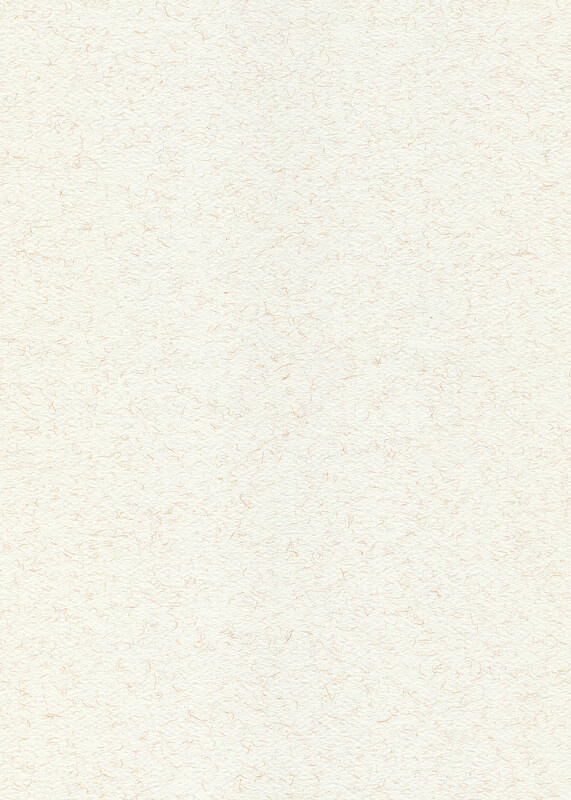 This gives the top of the cloud a brilliant, white appearance. However, the cloud will not yet have developed the anvil-like profile characteristic of cumulonimbus incus. Calvus clouds always produce some form of precipitation, with rainshowers occurring in temperate zones and snowfalls in colder areas. Under certain conditions, these falls can be moderate to heavy. In dry areas, showers may fall from the cloud base but evaporate before reaching the ground, a phenomenon known as virga. The powerful convective updrafts associated with calvus clouds can produce significant turbulence. However, the precipitation associated with the cloud can usually be located by onboard aircraft radar and evasive action taken. Height: 20,000 to 30,000 feet. Distribution: Worldwide, except Antarctica. Cause: Strong convection lifting and eventually absorbing a layer of air. Associated Weather: None from pileus, but calvus cloud will produce precipitation. Once a cloud has reached the calvus stage, and if convection is still occurring and is enhanced by instability in the surrounding air mass, the cloud will continue to grow vertically. When the air is ascending quite rapidly -- speeds of 20 to 30 miles per hour directly upward are possible -- a rather curious phenomenon may take place. The strong updraft associated with the calvus cloud picks up a slab of air and thrusts it upward. 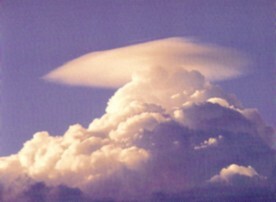 This causes the water vapor in the slab to condense, and a smooth, elongated, cap-like formation, known as a pileus cloud (pileus is the Latin word for felt cap) appears above the rising mass of the calvus. As the calvus cloud continues to rise, it gradually catches up with the pileus cloud. When the two clouds meet, some of the pileus cloud topples off the sides of the rising calvus. Eventually, the ascending cloud overtakes the pileus, which remains draped over the peak of the calvus until the two clouds merge completely. Pileus clouds can help weather-watchers anticipate thunderstorms, as the clouds that generate pileus formations are those most likely to develop into full-blown cumulonimbus clouds. Height: 2000 to 35,000 feet. Distribution: Worldwide, except Antarctica; common in the tropics. Cause: Powerful convection assisted by atmospheric instability. Associated Weather: Heavy rain or hail, strong winds. Hazard Warning: Severe turbulence in cloud, strong winds, lightning, hail, and even tornadoes at ground level. A mature cumulonimbus incus is definitely the "King of Clouds", a mighty mountain of moisture often considerably taller than Mount Everest, and sometimes reaching 60,000 feet in tropical and subtropical areas. In its full magnificence, it is crowned with a huge, wedge-shaped mass of high cloud resembling a blacksmith's anvil (incus is the Latin word for anvil). This part of the cloud, often referred to as a hammerhead or thunderhead, is a clear sign of a fully fledged thunderstorm. Cumulonimbus incus can begin early in the morning as cumulus humilis, then proceed through the stages of mediocris and congestus. For the cloud to continue developing at this point, the convective process must combine with atmospheric instability to produce a powerful updraft. As long as the air in the vicinity of the updraft remains unstable, the cloud continues to rise and expand. Eventually the cumulonimbus cloud reaches the top of the troposphere, where the air temperature levels off and begins to increase with altitude. This change in temperature has the effect of placing a lid on the updraft, and the cloud can rise no further. However, the momentum of the air below continues to push upward, and spreads the cloud out in a radial fashion at the tropopause, forming the characteristic anvil shape. The position of this formation therefore indicates the height of the troposphere in the area. Because the anvil is situated well above the level where the air temperature drops below freezing, this part of the cloud is composed of ice crystals, which forms a crown of cirrus above the main cloud mass. These ice crystals may be blown about by strong, high-level winds, producing a streaky appearance. In rare cases, the updraft associated with the cloud is so powerful that it punches through the tropopause and carries a parcel of cloud into the lower levels of the stratosphere, before losing momentum and falling back. This produces an upward bulge on the otherwise flat upper surface of the anvil -- a good indicator of a particularly severe storm, which may produce hail, strong wind gusts, and even tornadoes. A cumulonimbus incus formation must always be regarded as a significant aviation hazard because of the powerful air currents involved in its formation and the potentially damaging effect of the large hailstones it may produce. Fortunately, because of the precipitation generated, the cloud is easily located by onboard and ground-based radar, and elaborate procedures are in place to steer aircraft around any such activity. Height: 15,000 to 25,000 feet. Distribution: Worldwide, except Antarctica; common in the tropics. Cause: Strong convection followed by reverse-direction convection. Associated Weather: Heavy rain, wild squalls, hail. Hazard Warning: Severe turbulence in cloud, strong winds, hail, lightning and risk of tornadoes. Mammatus is one of the most spectacular and distinctive of all cloud formations, making it a favorite with weather-watchers and photographers alike. It consists of pendulous globules of cloud (mamma is the Latin word for breast) that hang from the underside of the anvil of a thundercloud. Mammatus is always associated with mature cumulonimbus clouds and is therefore an indicator of severe weather conditions. The formation occurs as a result of a process that can be described as reverse-direction convection. During a thunderstorm, warm, moist updrafts rise to the top of the troposphere. Here the temperature levels off and the air stabilizes. This causes the rising cloud to expand horizontally over areas of cooler, cloud-free air. The temperature difference between the two air masses creates instability under the anvil, which causes pockets of warm, moist air in the cloud to convect downward. This reverse-direction convection is enhanced by the effects of gravity and by precipitation from the cloud. The process produces near-symmetrical protuberances on the underside of the anvil, known as the mammatus, which may cover large areas. As the anvil of a mature cumulonimbus cloud can spread out over hundreds of square miles, the center of the storm may be some distance away from the mammatus formation. However, mammatus normally occurs soon after the cumulonimbus cloud has reached maximum growth and intensity and is usually a sign of a particularly vigorous thunderstorm. In the United States, this formation is regarded as a clear warning sign of possible tornado development. Airline pilots will normally take action to avoid any cumulonimbus clouds, but particularly those bearing mammatus formations, as these indicate especially severe turbulence within the cumulonimbus. 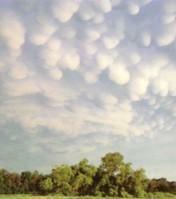 Mammatus may be observed wherever cumulonimbus clouds occur, but it is particularly common in areas where thunderstorms are severe, such as tropical and subtropical areas. Because the formation is associated with mature cumulonimbus clouds, it is most likely to be seen from mid-afternoon to early evening, when ground heating and associated convective activity have reached a maximum. Height: 6500 to 16,500 feet. Distribution: Worldwide, common in middle latitudes. Cause: Lifting of a large air mass; followed by condensation. Associated Weather: Extensive areas of rain and snow. Hazard Warning: Ice accretion on aircraft. This cloud is found in the middle levels of the atmosphere and is always a sign of the presence of significant amounts of moisture in those layers. 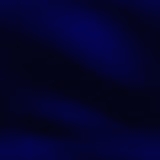 It is typically featureless, ranging from a thin, white veil of cloud through which the Sun is plainly visible, to a dense, gray mantle that may block out the Sun completely. Altostratus is the result of the lifting and condensation of a large air mass, usually by an incoming frontal system. This can result in an extensive deck of cloud, which may extend over thousands of square miles. If sufficiently thick, altostratus can produce rain or snow over a wide area. When stratus cloud covers the entire sky, it can be difficult to determine whether it is a low or middle-level formation. As a rough guide, if you can discern a texture in the cloud deck, it is more likely to be low-level stratus; if it appears smooth and structureless, it is more likely to be an altostratus formation. For pilots, a thick deck of altostratus can be a cause for concern if temperatures within the cloud are below freezing, because ice may build up on parts of the aircraft as it passes through the cloud, altering the plane's aerodynamics. Fortunately, most aircraft are equipped with de-icing devices that eliminate this problem. Height: 6500 to 16,500 feet. Distribution: Worldwide. Cause: Lifting of a large air mass, followed by condensation combined with wind shear at cloud level. Altostratus undulatus usually occurs in a thin layer of altostratus, and its distinctive, undulating appearance is due to wave motion in the air mass. This motion is normally a result of wind shear, which occurs when one layer of air slides over another layer moving at a different speed or in a different direction (or both). This creates vertical eddies, or waves, of air between the layers, and if sufficient moisture is present, cloud will form where the wave rises and dissipate where it falls. 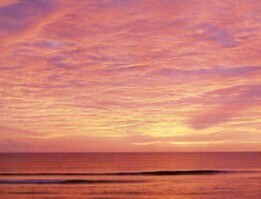 Depending on the moisture content of the air mass and the degree of wind shear, undulatus may occur as fairly continuous waves across the sky with thin cloud connections at the base, or it may break up into unconnected wave peaks. Undulatus produces no significant weather, but, because the cloud is produced by wind shear, it is regarded as a sign of local turbulence. In most cases, however, this turbulence would be only slight and would not be a concern for aircraft pilots. Cause: Lifting of a large air mass, followed by condensation combined with instability. Associated Weather: Light rain, if cloud is thick; may indicate an approaching front. While altostratus is often flat and featureless, altocumulus usually creates interesting and varied skies. In some cases, many thousands of small altocumulus clouds will be strung together across the sky in spectacular formations. As with altostratus, altocumulus normally occurs when a large air mass is lifted to middle levels by a landmass or an incoming frontal system, and condensation occurs over a wide area. The principal difference between the two formations is that altocumulus is affected by instability in the surrounding atmosphere. 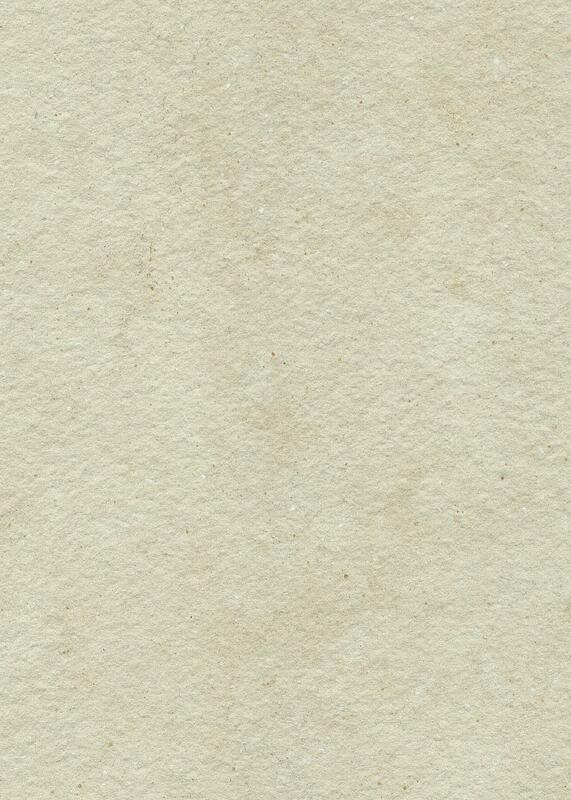 This gives rise to its distinctive cumuliform texture. In isolation, altocumulus does not have great significance for the weather-watcher, although it can produce light precipitation if the deck is sufficiently thick. However, if the extent of an altocumulus formation appears to be increasing during the course of a day, this may be a sign of an approaching frontal system. Often altocumulus and altostratus appear together in a mixed sky. Satellite photography reveals that mixed altocumulus-altostratus formations may extend over thousands of square miles, particularly when associated with a frontal system. If altocumulus combines with a thick deck of altostratus at a level where the temperature is below freezing, significant airframe icing may affect the aerodynamics of aircraft flying through the cloud. Otherwise, slight to moderate turbulence will be the only concern for the pilot. Altocumulus formations are often more distinct and dramatic at sunrise and sunset. Cause: Lifting of a large air mass, followed by condensation combined with instability and wind shear at cloud level. Altocumulus undulatus occurs when a layer of altocumulus cloud is affected by wind shear. The mechanism is the same as that which gives rise to altostratus undulatus. 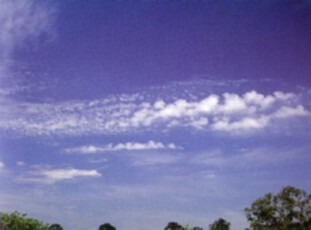 The altocumulus variation consists of parallel bands of cumulus clouds. These may form in patches or extend over a wide area of the visible sky. When the bands form close together, they often resemble ripples on the surface of a pond. 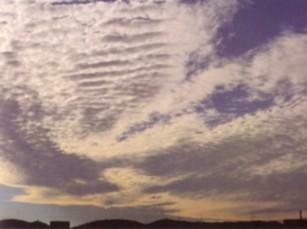 Altocumulus undulatus is distinguished from altostratus undulatus by its discernible cumuliform texture. As with all cumulus clouds, this is a result of a certain amount of instability at cloud level, which gives rise to further uplift at various points within the cloud. These clouds always indicate the presence of significant amounts of moisture at middle levels, and, if on the increase, may signal the approach of a frontal system. If the cloud deck is sufficiently thick, this formation can produce rain, or snow in sub-zero temperatures. Often, altocumulus undulatus occurs together with altostratus formations in a mixed sky. In such cases, it may be difficult to discern which cloud formation is producing the precipitation. All undulatus clouds are regarded by those in the aviation industry as a sign of turbulence. However, altocumulus undulatus seldom gives rise to anything more than slight to moderate turbulence and is therefore not regarded as a danger by pilots. Cause: Lifting of a large air mass, followed by condensation combined with instability and wind shear. Associated Weather: May indicate an approaching frontal system. 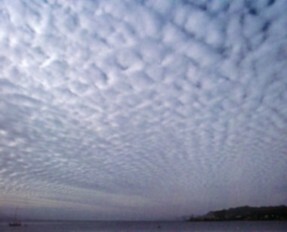 The mackerel sky variation of altocumulus is named for its resemblance to the scales of a fish. It is almost certain that the name originated among early mariners, and it may have considerable antiquity. As with altocumulus formations in general, mackerel sky is produced by the lifting of a large, moist air mass, usually by an approaching cold front, combined with instability at cloud level. The exact causes of this pattern have not been firmly established, but it is likely that a form of wind shear, similar to that which produces undulatus formations, is the cause. 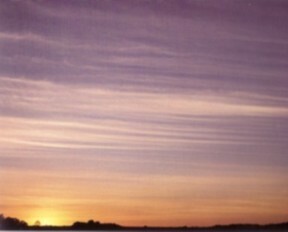 In this variation, the wind shear gives rise to a more intricate pattern of small waves, which produces the much finer texture of mackerel sky. Because it is often created by an approaching frontal system, mackerel sky has long been associated in folklore with deteriorating weather conditions. More often than not, this formation, like other middle-level clouds, is a good indicator of changing weather, although, as in all such cases, the front may pass some distance away from the observer, resulting in little change in local conditions. Cause: Lifting of a large air mass; followed by condensation combined with instability. Associated Weather: May point to thunderstorm development later in the day. This cloud is named for the turret-like protruberances that grow from its main deck, resembling the battlements of a medieval castle. While not a spectacular formation, it is significant in that it indicates instability in the middle layers of the atmosphere and may therefore point to thunderstorm development later in the day. Castellanus generally occurs when a layer of colder air slides across an area of altocumulus cloud. This creates instability, and localized bubbles of air start to rise from the cloud deck. Condensation within these pockets of air creates the castellanus effect. Any subsequent convection from the ground will be enhanced by this middle-level instability. Cumulus clouds forming in these areas are therefore more likely to develop into cumulonimbus clouds. For this reason, meteorologists are always alert to reports of castellanus. If several ground observers have noted castellanus development by the middle of the day, then there is a greater likelihood of thunderstorm activity later in the afternoon, following further ground heating. Since the formation of altocumulus castellanus involves vertical air currents, pilots can expect to experience slight to moderate turbulence as they pass through these clouds, but this will pose no danger to aircraft safety. Height: 6500 to 16,500 feet. Distribution: over mountain ranges worldwide. Cause: Air mass forced to rise to condensation level by landmass. Associated Weather: Light rain or snow; high winds. Altocumulus lenticularis clouds are named for their smooth, round, lens-like shape (lenticular means lens or lentil-like). These middle-level clouds can form spectacular patterns that delight weather-watchers and photographers and have almost certainly been responsible for a number of UFO sightings over the years. When wind blows across a mountain range, it tends to form air waves on the lee side of the mountains. This process, known as the mountain wave effect, is usually invisible, but when moisture is present at the top of these waves, lenticular clouds form where the wind rises and dissipate where it falls. Because mountain ranges are nearly always of irregular shape and wind may move at different speeds at different levels, the waves produced in this manner often have varying distances between their crests (referred to as the wavelength) and the resulting clouds form an irregular pattern. If the wind generating the waves has a fairly constant speed, the cloud pattern will be stable and long lasting, remaining virtually stationary in the sky for extended periods. Generally, no significant weather is produced by altocumulus lenticularis, but, occasionally, if there is sufficient moisture in the surrounding atmosphere, these clouds can become thick enough to generate light rain, or snow showers in sub-zero temperatures. Because these formations are associated with high-speed winds in the middle layers, they may be precursors of windy conditions at ground level. The roller-coaster motion of the air, made visible by the formation of these clouds, can produce significant levels of turbulence, and commercial airliners will try to avoid such areas. 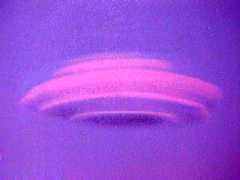 High-level glider pilots, however, sometimes do the opposite: they look for lenticular clouds as signs of a source of uplift for the aircraft. The gliders can surf along the mountain waves, maintaining altitude by remaining on the rising side of the wave crest. 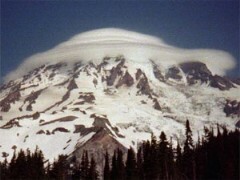 Lenticular clouds occur in most parts of the world, and may form over quite small mountains. Good examples occur when moist winds blow in off the Pacific Ocean and encounter the Sierra Nevada in California. However, the most dramatic clouds are generated by the largest ranges, such as the Himalayas, Andes, and Rocky Mountains. Height: Above 16,500 feet. Distribution: Worldwide. Cause: Saturation of air mass at upper levels. Associated Weather: If extensive, may indicate an approaching frontal system; may also be a sign of a decayed thunderstorm. The Latin word cirrus, meaning wisp of hair, is the name given to high-level clouds that stretch across the sky in delicate strands. These formations indicate the presence of moisture at high levels of the atmosphere. At these levels, the temperature is normally below freezing, and any air mass that cools to saturation will produce ice rather than water droplets. 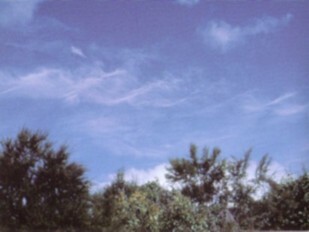 Cirrus clouds therefore consist of many millions of ice crystals, and these are blown about by upper-level winds, producing characteristic white streaks. 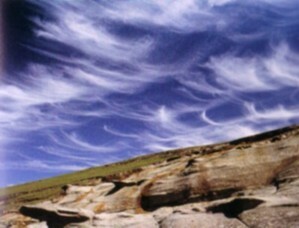 Among the most distinctive cirrus shapes are the irregular twists and tangles of cirrus intortus and the hook shapes of cirrus uncinus. Less common, but equally dramatic, is cirrus radiatus, which forms in long, parallel lines that seem to radiate from a point on the horizon. 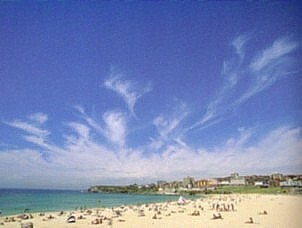 Cirrus clouds may form in isolated patches or cover a wide area of the sky, depending on the distribution of moisture. Isolated patches rarely have any great significance, but an extensive deck, increasing from one direction, may indicate an approaching front. Cirrus may be the result of local thunderstorm activity. The anvil that often forms above a cumulonimbus cloud is actually a cirrus cloud. It is generated as the thunderstorm pumps moisture up to the very top of the troposphere, where it freezes into ice crystals. After the storm has completed its life cycle, high-level winds may disperse the anvil across the sky, producing extensive cirrus formations far downwind. This often spectacular variation of cirrus cloud is also known as hooked cirrus (uncinus is the Latin for hook), or cirrus mares' tails, a reference to the cloud's resemblance to a horse's tail. Cause: Saturation of an air mass at high levels, combined with wind shear. Hazard Warning: Moderate to severe levels of turbulence at cloud level. The shape of this kind of cirrus is the result of a particular type of wind shear. In general, wind shear occurs when one layer of air slides across another layer moving at a different speed or in a different direction (or both). This gives rise to vertical eddies that produce a regular pattern of air waves. In most cases, wind shear creates a series of gently undulating cloud formations along the tops of the waves. In the case of the Kelvin-Helmholtz formation, however, the eddies are more powerful, and carry the cloud over the peak and down the other side, so that the waves "break" in the manner of ocean waves breaking as they approach the shore. As these waves complete a circulation, they create a distinctive corkscrew pattern. This form of instability also occurs in fluids and in the Earth's outer atmosphere. It was first described in the late nineteenth century by Baron Kelvin (1824-1907), a Scottish physicist, and Hermann von Helmholtz (1821-94), a German physicist -- hence the name of the cloud. The presence of this cloud indicates a degree of wind shear that is likely to produce moderate to severe turbulence at cloud level. In the absence of cloud, the same process can be a major source of clear air turbulence at high levels. As this turbulence is invisible and does not show up on radar, aircraft may encounter it unexpectedly. Cause: Saturation of a large air mass at high levels. Associated Weather: If the cloud is thickening, it may indicate the approach of a frontal system. 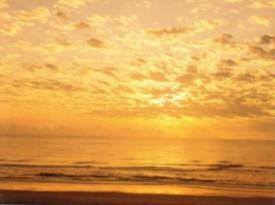 Cirrostratus is an even layer of cirrus that covers a wide area of the sky. As with other kinds of cirrus, it is formed when a moist air mass is lifted to a level where it cools to saturation and forms ice crystals. In the case of cirrostratus, this lifting occurs on a large scale. Meteorologists distinguish various types of cirrostratus. Among the most common are fibratus and nebulosis. The former consists of long, thin filaments, known as striations, that spread out across a wide area of the sky. The even texture of this formation results from the ice crystals being blown by strong, steady, high-level winds. In the case of cirrostratus nebulosis, the uplift that gives rise to the cloud is very gentle, and the resulting ice-crystal layer is extremely thin, with vague edges that are difficult to discern and a lack of the texture or fiber common to other cirrus clouds. 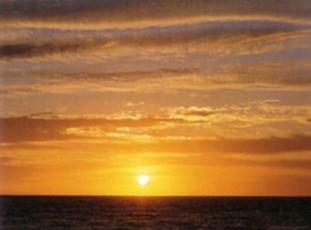 Frequently, the only sign of cloud formation will be a slight diminution of the intensity of sunlight. When it forms in a very thin layer, cirrostratus nebulosis often gives rise to haloes, sun dogs, and iridescence. Occasionally, snow showers fall from cirrostratus formations, but these usually evaporate before reaching the ground and are classified as virga. If a build-up of cirrostratus from one direction is taking place, this is a sign of an increase in moisture at upper levels and may indicate the approach of a weather system such as a cold front. Cirrostratus formations may cause slight turbulence at cloud level, but this is unlikely to affect aircraft operations or discomfort passengers. Cause: Saturation of a large airmass at high levels, combined with instability at cloud level. Associated Weather: Increasing cover may indicate an approaching frontal system. Cirrocumulus, like cirrostratus, occurs when a large area of moist air at a high level of the atmosphere reaches saturation and forms ice crystals. 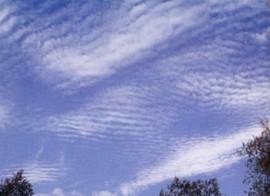 What differentiates cirrocumulus from cirrostratus is the presence of instability at cloud level. This gives the cloud its cumuliform appearance. In isolation, this formation does not normally have any great significance. However, if there is a steady increase in this cloud over a period of time, it may indicate the approach of a frontal system. Cirrocumulus is one of the most attractive of all clouds, often forming spectacular patterns that may stretch for hundreds of miles across the sky. One dramatic form of cirrocumulus is cirrocumulus undulatus, which appears as a fine, rippled pattern in the sky. As with other undulatus forms, these ripples are produced by atmospheric waves generated by wind shear. However, in the case of cirrocumulus undulatus, the entire structure has a much finer appearance. This is partly due to the fact that atmospheric waves formed at high altitudes tend to have a shorter wavelength than those formed in the middle layers, but it is also a result of the greater distance between the cloud formation and the observer on the ground. Cause: Aircraft operations at high levels combined with significant moisture in the surrounding air. Associated Weather: If long-lasting, can indicate an approaching frontal system. This is an exceptional formation in that it does not occur naturally. Rather, it is an artificial cirrus cloud produced by high-level aircraft operations. 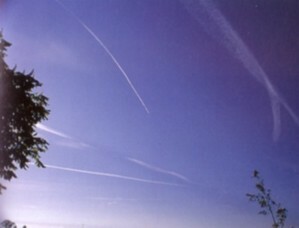 The term contrails is short for condensation trails. All aircraft engines emit water droplets from their exhausts. When an airplane flies through the upper levels of the troposphere, where temperatures are normally well below 32° F (0° C), these droplets immediately freeze to form ice crystals, creating an artificial cloud. Often, the surrounding air mass will contain little moisture, and the resulting cloud will be thin, short-lived, and invisible to an observer on the ground. However, if the surrounding air mass is close to saturation, the cloud produced will be much broader and longer and may last for half an hour. It is this visible formation that is known as a contrail. For the weather- matcher, a long-lasting contrail can be a useful sign, as it reveals the presence of significant high-level moisture. This, in turn, may indicate the approach of a frontal system. Contrails also have a military and strategic significance in that they reveal the presence and location of high-level aircraft that would normally be invisible to the naked eye. The enduring memory of many who witnessed the Battle of Britain, during the Second World War, is the criss-crossing spider's web of contrails that occurred day after day, high above England, as the Luftwaffe and the Royal Air Force engaged in combat in the upper levels of the troposphere.